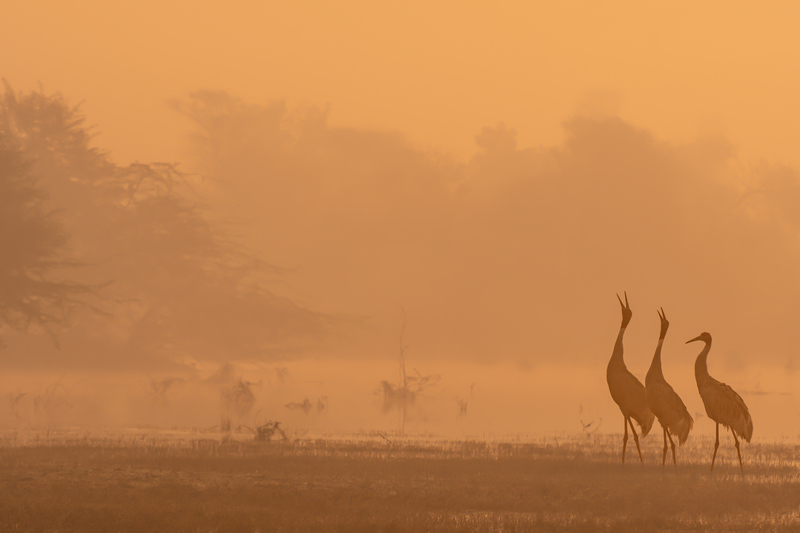 A lovely misty, moody morning at Bharatpur with a family of Sarus Cranes. We spotted the cranes through the mist and decided that we will wait for them to move away – at the closest point we were less than a few meters away from them. As they moved away across the water the sun was just stating to come up behind them, but there was still something missing. Till two of them decided to call. Two of them with their heads thrown back and calling while the early morning rays of the sun slowly starts to muscle its way through the shroud of fog that had blanketed the park – couldn’t get more magical than that.